The story really starts in Dean Street in Newcastle’s City Centre where, at number 6, John R S Baker is a Pork Butcher. In the 1891 Census we find his 20 year old son, William, there as a Shop Assistant. Seven years later William Charles Sanzen Baker would be anxiously awaiting the shop, with dwelling premises above, to be completed so that he could move in and follow, in his own right, the trade he had been brought up to serve. 76 Heaton Road was about to be known as William C S Baker, Pork Butcher. The 1901 Census would see him living above (at number 74) with his wife, Elizabeth, and their one year old son, John, but in the following census 1911 we see that the enterprising William has brought two pork butchers and sausage makers from Germany into the business, Charles Siegel and Charles Hermann. William’s mother was originally from Germany and she might have had an influence in the venture. In this day and age many of us have enjoyed sampling German sausages and we can understand why William would consider the outlay of bringing those with expertise in producing such a speciality into this country to bolster his trade but soon the war with Germany would be looming. As people started to avoid purchasing German produce, William must have adapted his business strategy accordingly as not only did he keep going through the war years but he remained trading until 1920. William eventually moved to Monkseaton, became a Civil Servant and died on the 30th of June 1924. 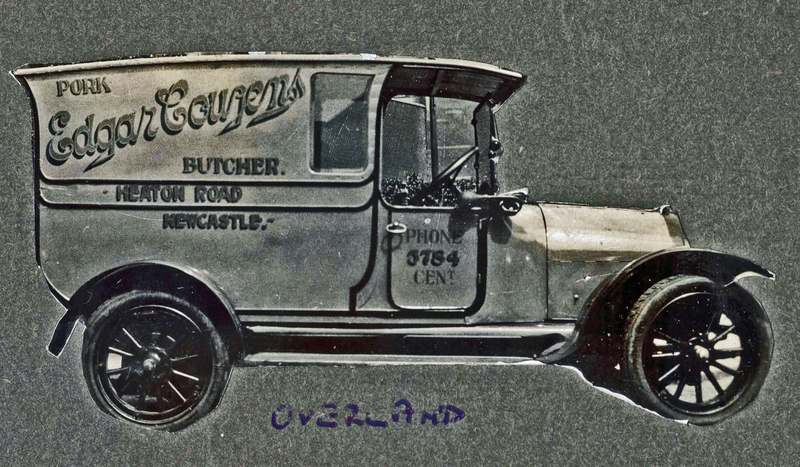 According to his grandson, Edgar Couzens, who was born in Norfolk in 1887, had moved to Newcastle in 1908 with his brother, Bert, for better job prospects. By this time, he already had a shop at 185 Shields Road and after the war, in which he served in the Northumberland Fusiliers Army Veterinary Corps, he was doing well anough to expand his business. He bought the 76 Heaton Road shop from William Baker. Edgar later bought a shop in Raby Street Byker, which Bert later took over, and one at 263 Chillingham Road Heaton and he ran the expanding business almost until the outbreak of World War 2. Luckily for us, Edgar also found time to be a keen amateur photographer and his grandson, Mike Couzens, has sent us a number of interesting photgraphs, which are featured here and elsewhere on our website. In the latter part of 1937 George and Ann Ladyman Robinson nee Curwen took over the Heaton Road business from Edgar Couzens and lived upstairs at number 74. Both had previous pork shop experience. However, family recollection has it that George was to take no part in the running of the shop as he became ill and tragically died in the winter of 1938. The shop then had its first female owner. Ann was known as Nancy but always addressed as ‘Mrs Robinson’ in the shop. She was born in High Spen in 1899 and married George in Gateshead in 1919. 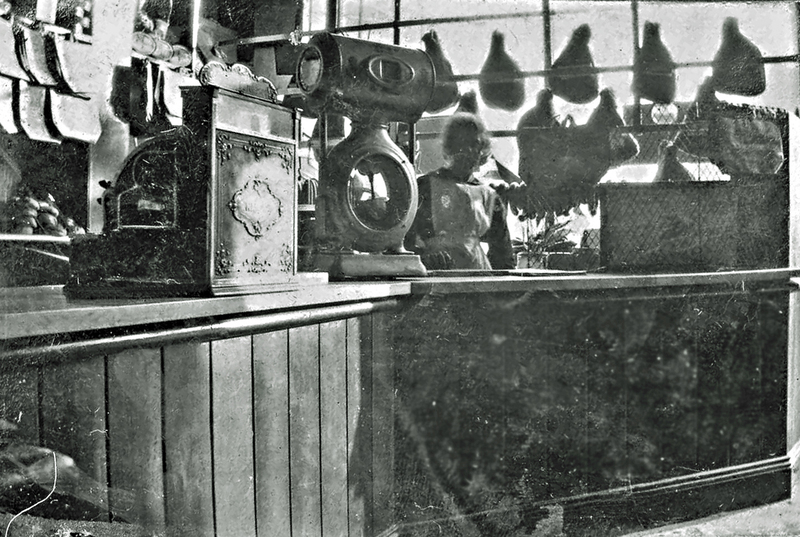 Mrs Robinson was the driving force behind the business; her innovation and energy steered the shop successfully through both good times and wartime shortages. She never really retired but, as she grew older, took a less active part. Nancy had no children to leave the business to but after her niece Eva married Arthur Shaw they collectively formed a Limited Company with Arthur as the manager. Ann Ladyman Robinson died on the 18th of August 1982 aged 83 with the business in good hands. Arthur had been an RAF pilot in the Second World War and after being demobbed found that good jobs were hard to come by. He studied commerce at King’s College and was then employed as export manager for G M Horner (who famously made Dainty Dinah toffees). Before joining Robinson’s Arthur temporally moved to York where he received training in all aspects of pork butchering by an elderly shop owner eager to pass his skills down. 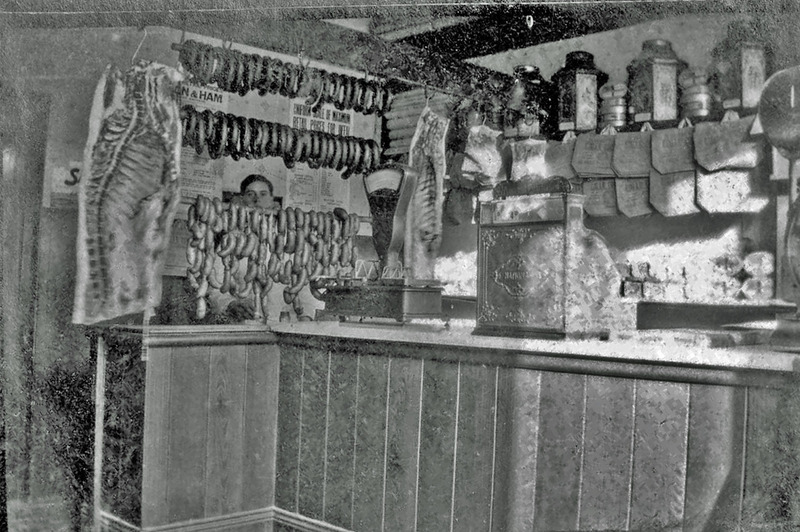 With this valuable apprenticeship completed in 1949, Arthur was not only capable of expertly managing the Robinson’s shop but in time became the National President of the Pork Butchers section of The National Federation of Meat and Food Traders. He needed to be a good businessman: competition was fierce. At one point there were other butcher’s shops on the same block as Robinson’s: Charley Young’s, at 72 and Dewhurst Ltd at 64. 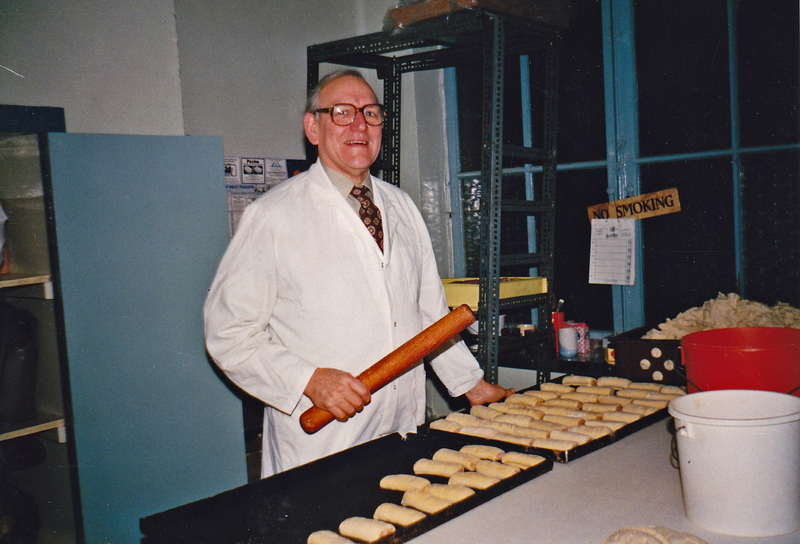 Dewhurst’s was part of a huge international food business, the Vestey Group. 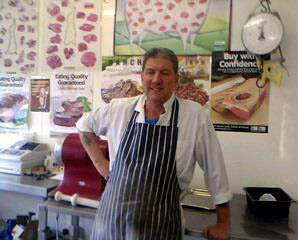 In 1997 Arthur became more involved with the second Robinson’s Pork Shop situated at 349 Benton Road leaving Matty Hunton, who he had trained since a boy, to run Heaton Road. 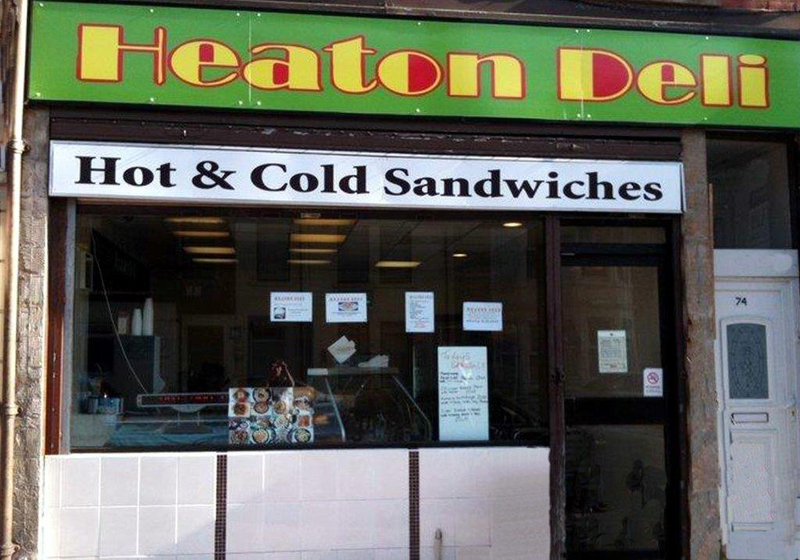 When the Heaton Road shop finally closed on the 14th of May 2008 Matty went to manage Benton Road. Some would say that the pork shop that served the folks of Heaton for well over a century became the victim of the bulk buying might afforded to modern day supermarkets yet though determination, resilience and friendly personal service the shop on Benton Road remains defiantly open. And as with Mrs Nancy Robinson no one could tell you when Arthur Shaw retired and so Matty Hunton, be prepared, you are there for the duration! 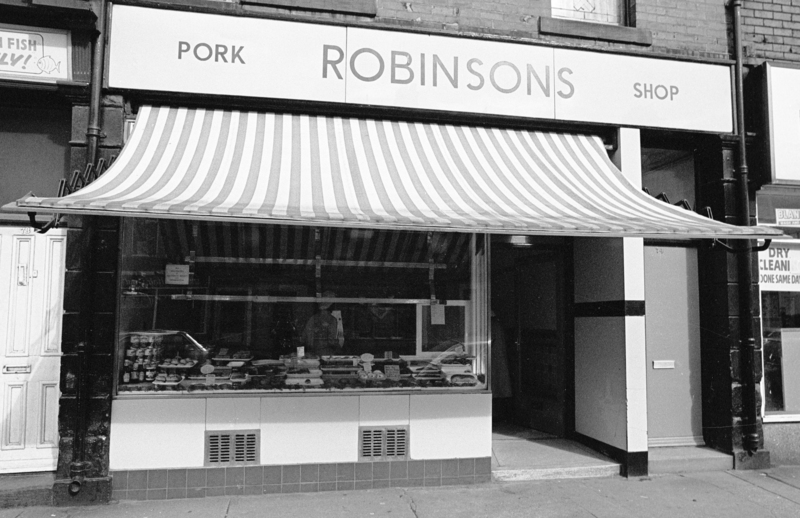 In 2010, 76 Heaton Road became Heaton Deli specialising in some of the produce that had made Robinson’s famous. Meena Saggar ran Heaton Deli for two years and closed the shop in February of 2012 to move to the next block on Heaton Road and manage Uni Lettings. At the time of writing in 2013, it is an Indian food outlet, called News India: some shops just lend themselves to satisfying the eating habits of the folks of Heaton – long may it remain that way. If you know more about any of the people mentioned here, can help fill in any gaps or have any photographs of 76 Heaton Road, please get in touch. 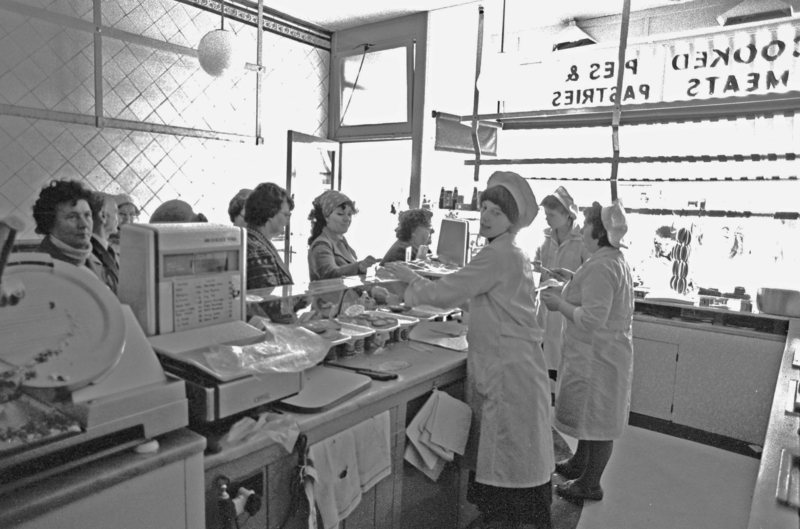 In fact, we’re interested in any historic photographs of Heaton shops and to hear your memories. This entry was posted in Research and tagged Bert Couzens, butcher, Edgar Couzens, German pork butcher, Heaton Deli, Heaton Road, Robinson's pork butchers, shops, William Baker, WW1, WW2 on September 29, 2013 by oldheaton.